As Tennessee's housing finance agency, the Tennessee Housing Development Agency (THDA) provides fixed rate mortgage loans for first-time homebuyers, promotes the production of new affordable housing units for households of very low to moderate-income, promotes the preservation and rehabilitation of existing housing units for such persons, and brings greater stability to the residential construction industry and related industries so as to assure a steady flow of housing production. Established by the General Assembly in 1973, THDA has evolved and grown to serve Tennesseans in many ways: providing grants to preserve and create homes, offering rental assistance on several different levels, assisting in the creation and maintenance of rental housing, providing educational opportunities, and helping other State agencies with housing missions to solve problems and save taxpayers’ money. For more information about THDA visit the About THDA page. The ARLP will improve homeownership for the residents of the Appalachian counties. The program goal is to help provide safe and sound housing to residents in Distressed and At-Risk counties through loans for repairs or improvements. Learn more about the Appalachian Renovation Loan Program . THDA's Appraisal Gap Pilot program provides gap funding to eligible nonprofit entities to help cover the costs to build new construction or substantially rehabilitate homes in distressed communities where property values still have not recovered. Learn more about the Appraisal Gap Program. Financial institutions may obtain a credit against the sum total of taxes imposed by the Franchise and Excise Tax Laws when qualified loans, qualified investments, grants or contributions are extended to eligible housing entities for engaging in eligible low-income housing activities. Learn more about Community Investment Tax Credits. THDA administers the federally-funded Emergency Solutions Grant (ESG) Program to help improve the quality of emergency shelters for the homeless; to help meet the costs of operating and maintaining emergency shelters; to provide essential services so that homeless individuals have access to the assistance they need to improve their situation; to provide street outreach services to the homeless; and to provide emergency intervention assistance and rapid re-housing services to prevent homelessness and to obtain permanent housing. Learn more about the Emergency Solutions Grant Program. The Family Self-Sufficiency (FSS) program works with families to create a step-by-step plan that leads to economic independence. The purpose of FSS is to facilitate access to the supportive services families need to become free of public assistance in a five-year time period. All participating Section 8 families are eligible to participate. Learn more about the Family Self-Sufficiency program. Flexible Home Concepts (FHC) is a voluntary certification program designed to encourage builders of new homes to implement design features which make a home more accessible. Learn more about Flexible Home Concepts. THDA trains organizations across Tennessee to provide free and confidential counseling to homeowners facing foreclosure. THDA maintains a list of certified foreclosure prevention counselors on its website. Learn more about our Foreclosure Prevention program. Great Choice offers a low fixed rate 30-year first mortgage loan. Great Choice Plus combines the Great Choice first mortgage with the Plus, providing the borrower with up to 5% of the sales price for down payment and closing cost assistance. The Great Choice Plus second mortgage loan has a 0% rate with no monthly payments. Learn more about Great Choice and Great Choice Plus. The Hardest Hit Fund Blight Elimination Program (BEP) will assist with the removal of blighted properties in targeted areas within Tennessee. THDA will work in partnership with approved non-profit partners to strategically target residential single-family properties for demolition, site improvement, and acceptable reuse. The BEP will reduce foreclosures, promote neighborhood stabilization, and maintain property values through the demolition of vacant, abandoned, blighted residential structures, and subsequent greening/improvement of the remaining parcels within the targeted areas. Learn more about the BEP. Under the HOME Program, THDA funds local housing programs designed to promote the production, preservation, and rehabilitation of affordable housing for individuals and families of low- and very low-income. These funds are awarded to cities, counties and non-profit organizations through an annual competitive grant process. Learn more about the HOME Program. The Homeownership for the Brave program offers a 1/2-percent reduction on THDA’s Great Choice first mortgage loan for active and retired members of the military. Learn more about Homeownership for the Brave. THDA provides nonprofit organizations with tools to teach homebuyer education classes. THDA maintains on its website a list of certified homebuyer education trainers who can help consumers as they consider purchasing a home. Learn more about our Homebuyer Education Initiative. The Low-Income Home Energy Assistance Program (LIHEAP) is a federal program designed to assist households below 150% of the federal poverty standards of low income, particularly those who pay a high proportion of household income for home energy bills, meet their immediate home energy needs. 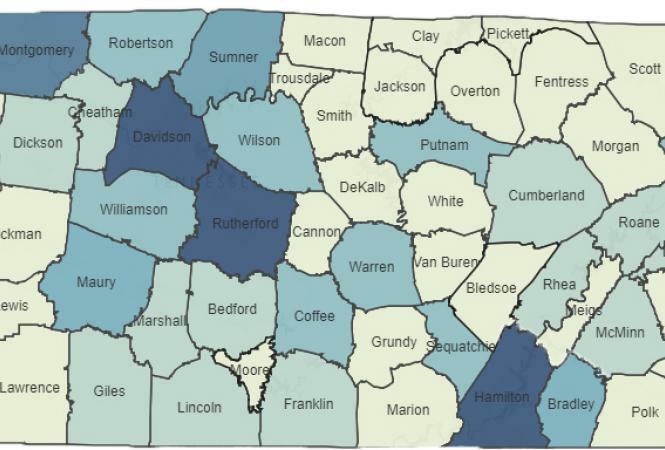 The funds are awarded to a network of 19 community service agencies serving all 95 counties in Tennessee. Learn more about the Low-Income Home Energy Assistance Program. A Low Income Housing Tax Credit (LIHTC) is a credit against federal income tax liability each year for 10 years for owners of and investors in affordable rental housing. Learn more about Low Income Housing Tax Credits. The Bond Authority program, like the LIHTC program, supports rehabilitation, acquisition and rehabilitation, and new construction of rental units. Municipalities request an allocation of the state’s bond authority and sell bonds in support of housing development. Learn more about the Bond Authority program. The National Housing Trust Fund provides grants for the rehabilitation and new construction of rental housing for extremely low income households. Learn more about the National Housing Trust Fund program . The Section 8 Contract Administration and Compliance Division manages the Housing Assistance Payment contracts between HUD and Section 8 property owners across Tennessee. THDA processes monthly payments to owners, oversees annual contract renewals and rent adjustments with property agents, reviews and approves special claims, contract opt-outs and terminations, handles issue calls from residents, and conducts Management and Occupancy Reviews. Learn more about Contract Administration. TAKE CREDIT is a Mortgage Credit Certificate (“MCC”) program administered by the THDA. An MCC is not a loan. An MCC permits an eligible homebuyer a federal tax credit up to a maximum of $2,000 per year based on the mortgage interest paid by the homebuyer. Learn more about the Take Credit MCC Program. The Section 8 Rental Assistance program is a tenant-based rental assistance (voucher) program funded by HUD. THDA is one of 28 public housing agencies (PHA) in Tennessee that administer the Program. 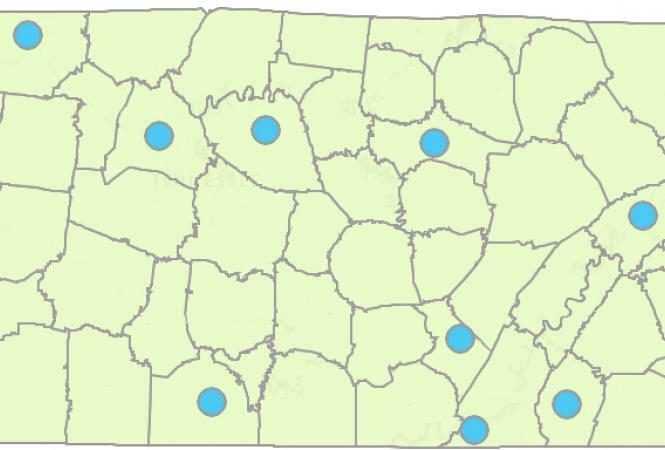 THDA administers its Program in 72 of 95 Tennessee counties. The purpose of the Program is to enable eligible low-income households to obtain decent, safe and sanitary housing by the PHA paying a portion of rental costs (including utilities) directly to a landlord in the private rental market. Participating households may select a unit of their choice. Learn more about the Tenant Based Housing Choice Voucher program. The Challenge Grant Program provides initial seed funding to support the fundraising efforts of nonprofit organizations across Tennessee to implement housing activities that represent unique milestones, are part of a broad community initiative, or are part of a significant expansion of work outside the normal day to day activities of the organization. Selected proposals must generate cash leverage of at least 300% within nine months of THDA’s commitment of Challenge Grant resources to the housing initiative. Competitive Grants are awarded twice a year to develop and/or preserve affordable rental housing for the elderly and those with special needs, including persons with mental, physical, or developmental disabilities; individuals recovering from substance addiction; victims of domestic violence; veterans with multiple needs; youth aging out of foster care; and ex-offenders re-entering society. Eligible applicants are local communities, non-profit agencies, public housing authorities, and development districts. Habitat for Humanity of Tennessee has been provided an annual allocation of funds since July 2014 to provide statewide Habitat affiliates with funding for the new construction of single family homes. The Emergency Repair Program allocates funds to make essential home repairs for elderly or disabled homeowners. The program is administered statewide by eight development districts and one human resource agency. The Housing Modification and Ramp Program provides funding to construct ramps and make other home modifications to assist persons with disabilities gain better access to their homes. This program is administered statewide through United Cerebral Palsy of Middle Tennessee. Rebuild & Recover provides funds to assist eligible communities recover from a natural disaster. Grants are made to the city or county. The Tennessee Repair Loan Program (TRLP) will help sustain homeownership across the state. The Program Goal is to help provide safe and sound housing to households of low income, veterans, seniors, and homeowners with special needs through loans for repairs or improvements. Learn more about TRLP. The Weatherization Assistance Program (WAP) is a federal program designed to assist households below 200% of the federal poverty standards improve the energy efficiency of their homes. The funds are awarded to a network of community service agencies throughout the State. Learn more about the Weatherization Assistance Program . This interactive mapping tool displays 2017 THDA housing program information in a range of views. Find the contact information for LIHEAP and WAP agencies in each county. View the active Low Income Housing Tax Credit program properties.